I earlier wrote an article about how you can embed a YouTube video in a PowerPoint presentation using a third-party plugin. But with Microsoft Office 2010 and Microsoft Office 2013 you no longer need that plugin, the functionality is built within. But you need do a little work to bring this feature to work. Open PowerPoint 2010/2013 and navigate to “File > Options“. 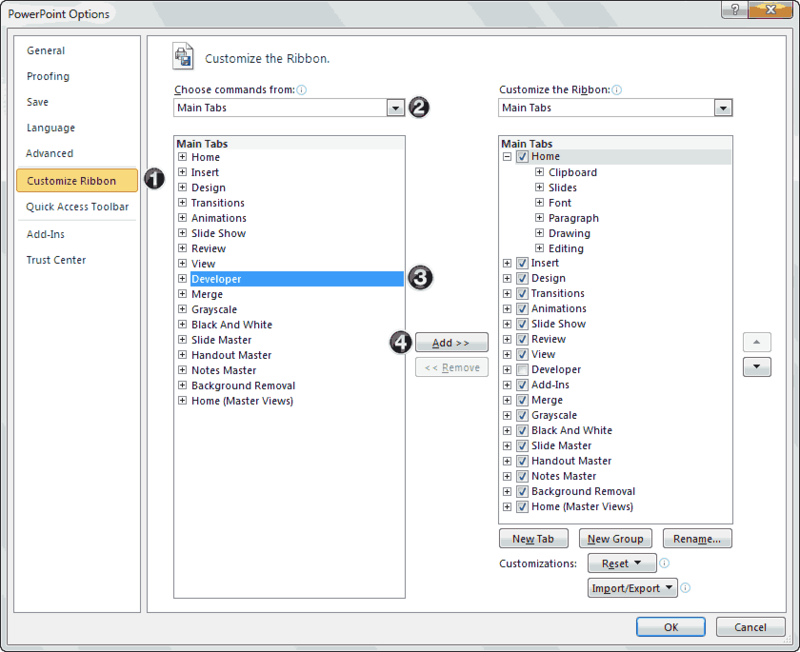 Now select “Custom Ribbon” from the left pane and select “Main tabs” in “Choose commands from:” drop-down menu. Now select “Developer” from the left list and add it to the right list and click OK. You will see the Developer menu in the top navigation. Go to “Developer” menu and select “More Controls” from the “Controls” section. 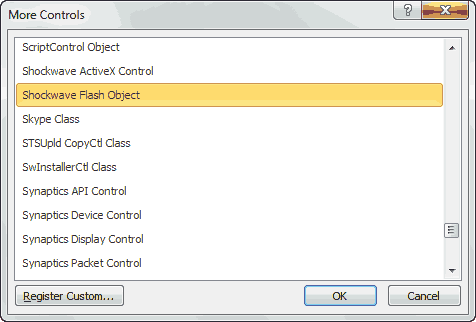 Now select “Shockwave Flash Object” from the list that pops up. 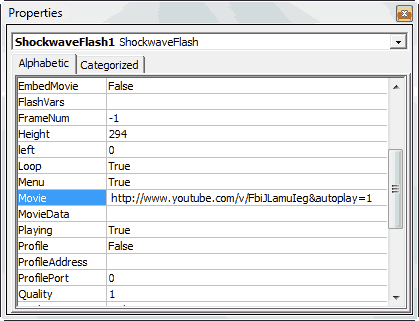 You will see many different properties that can be changed for the Shockwave object. Paste the YouTube video URL we created in step 1 to the Movie entry. Start the slideshow and you will have the embedded YouTube video playing in your PowerPoint presentation.